AIS (AGI) means the General artificial intelligence, a hypothetical computer program which can perform intellectual tasks as well as, or even better. They will be able to perform certain tasks — like the recognition of people in the photo or the translation of languages that are currently capable of performing many individual artificial intelligences in our phones and computers. They will be able to simultaneously hold a conversation, play chess and speak French. They will be able to understand the proceedings in physics, writing novels, develop investment strategies and to maintain a casual conversation with strangers. They will follow the nuclear reactions that control the power grid and traffic flow, and effortlessly to succeed in everything else. They will make the most advanced AI today are like pocket calculators. The only mind able at present to perform all of these tasks belongs to the man. But the human mind is limited by the size of the skull containing the brain. Its power is limited to a negligible amount of energy that can provide the body. Because they will work on computers, it will not suffer from such limitations. His intelligence is limited only by the number of available processors. They can start with monitoring nuclear reactions. But soon enough he will find a new energy source, digesting more work in physics in the second than capable man for thousands of years. Intelligence of human level, which has enlisted the speed and scalability of computers, will save us from problems. Hassabis, said the British newspaper the Observer that he expects the AIS decisions, among other disciplines, problems such as "cancer, climate change, energy, genomics, macroeconomics and the financial system". The conference, which was organized by Hassabis, called the Singularity Summit. The singularity is the first part of the name refers to the most probable consequence of the appearance of AIS, in the opinion of futurists. Because they will process information with high speed, it quickly will become very smart. Rapid cycles of self-improvement will lead to an explosion of machine intelligence, with the result that people will smell the silicon dust. Since this is the future based solely on unverified assumptions, almost religiously I suppose that the singularity will be either a utopia or a hell. Judging by the titles of the presentations, the participants believe more in the first Exodus: "the Mind and how to build it", "AI against aging", "Replacing our" bodies, "Modifying the boundary between life and death." It Hassabis, on the contrary, it seemed boring: "a Systematic neuro-scientific approach to the creation of AIS". Hassabis were between a podium and a screen saying a tongue Twister. He was dressed in a Burgundy jumper and white button-down shirt, like a schoolboy. His small stature, seemed only emphasized his intelligence. Still, explained, Hassabis, scientists have come to the AIS of the two parties. One approach, known as symbolic AI, was trying to describe and to program all the rules required for the system that could think like a human. This approach was popular in the 1980-ies and 1990-ies, but did not give the desired results. Hassabis believed that the mental architecture of the brain too subtle to describe it. Another approach gathered scientists trying to reproduce the physical network of the brain in digital form. It made a certain sense. In the end, it is the brain box of the human intellect. But these researchers also moved the wrong way, said Hassabis. Their task was akin to creating the map of all stars in the Universe. If deeper, they focused not at the level of brain functioning. It was like trying to understand how it works, Microsoft Excel, breaking the computer and studying the interaction of transistors. Instead, Hassabis suggested a middle ground: they should draw inspiration from the broad methods by which the brain processes information, not from physical systems or specific rules, which it applies in specific situations. In other words, it needs to focus on understanding the software of the brain, not its hardware. New techniques such as functional magnetic resonance imaging (fMRI), which allowed to look inside the brain while it works, hinted that such an understanding is possible. A recent study said Hassabis show that the brain is trained, reproducing the experiences during sleep to reveal General principles. Researchers in AI have to emulate such a system. In the lower right corner of the opening slide emblazoned logo is a round blue vortex. Two words standing side by side, printed bottom: DeepMind. It was the first time it was mentioned publicly. Hassabis spent a year trying to get invited to the Singularity Summit. The lecture was his cover. In fact, he needed one minute with Peter Thiel, a billionaire from Silicon valley who funded the conference. Hassabis, like investments til. Hassabis never talked about why he needed the support of the til. But til believed in the AIS more than Hassabis. Speaking at the Singularity Summit in 2009, Thiel said his biggest fear was not the robot uprising. He was more worried that the singularity will come soon. The world needs new technologies to prevent the economic downturn. DeepMind was eventually collected 2 million pounds, of which 1.4 million were til. When Google bought the company in January 2014 for $ 600 million, Thiel and other early investors made a profit of 5,000% on their investment. For many founders it would be a happy ending. You could relax, take a step back, spend time alone with the money. For Hassabis the Google acquisition was just another step in his quest for the AIS. He spent most of 2013 negotiating the terms of the transaction. DeepMind had to work separate from its owner. She was supposed to receive benefits from the ownership of Google, such as access to cash flows and computing power without losing control. Hassabis thought that DeepMind will be able to become a hybrid: he is the engine of a startup, the brains of the greatest universities and the deep pockets of one of the most expensive companies in the world. Every ingredient was in place to accelerate the arrival of AIS and eliminate the causes of human suffering. Demis, Hassabis was born in North London in 1976 in the family of Greek Cypriot and Chinese team with Singapore blood. He was the eldest of three brothers and sisters. Mother worked at the British Department store John Lewis, and his father ran a toy store. He Hassabis took up chess at the age of four by watching his father and uncle. A few weeks later he beat adults. By age 13, he became the world's second best chess player in his age. At eight years old, learned to program on a simple computer. Higher education, Hassabis received in 1992, two years ahead of schedule. Got a job as a video game programmer at Bullfrog Productions. Hassabis wrote Theme Park in which players create and manage a virtual amusement Park. The game was a great success and has sold 15 million copies, creating a whole genre of simulation games, the purpose of which was to defeat the enemy, and to optimize the functioning of the huge complex system, such as a business or city. In addition to creating games, Demis well they played. As a teenager, he ran between the floors of the competitions in table games, at the same time competing in the games chess, Scrabble, poker and backgammon. In 1995, studying computer science at the University of Cambridge, Hassabis participated in a student tournament. Go is an ancient strategic Board game that is much more complicated chess. The skill should require the intuition gained years of experience. Nobody knew I played, Hassabis generally go before. First, Hassabis won the tournament for beginners. Then he defeated the winner of the experienced players, albeit with a handicap. Charles Matthews, the master of Cambridge, who led the tournament, remembers the shock of how a skilled player destroyed a 19-year-old rookie. Matthews took Hassabis under his wing. Intelligence and ambition Hassabis was always shown in games. Games, in turn, ignited his passion intellect. Watching his development in chess, he was wondering whether it is possible to program computers to learn as well as he did, accumulating experience. The game offered a learning environment which did not correspond to the real world. They were strict and closed. Since the game is separated from the real world, they can practice without interference and to effectively master. Game speed up time: the players build a criminal syndicate for a few days and fighting on the Somme a few minutes. In the summer of 1997, Hassabis went to Japan. In may of that year the computer Deep Blue, owned by IBM, defeated Garry Kasparov, the world chess champion. For the first time a computer defeated a human grandmaster. The match has attracted worldwide attention and caused concern about the growing power and potential threat to computers. When Hassabo met with Masahiko of Fossoway, Japanese master of Board games, he told about the plans, which combined his interests in strategic games and artificial intelligence: one day he will develop a computer program to defeat the greatest go player. Hassabis approached his career methodically. "At the age of 20 years, Hassabis believed that certain things must already be in place before the artificial intelligence can move to the necessary level," says Matthews. "He had a plan." In 1998 he founded his own game Studio, called Elixir. Hassabis focused on one extremely ambitious game Republic: The Revolution, the complex political simulation. A few before that, while still in school, Hassabis told his friend Mustafa Suleiman that the world needs a Grand simulation to simulate its complex dynamics and to solve the most difficult social problems. Now he tried to do it in the game. To put his commitment to the code was more difficult than expected. Elixir eventually released a stripped-down version of the game, to warm reviews. Other games failed. In April 2005, Hassabis closed Elixir. Matthews believes that Hassabis started the company simply in order to obtain management experience. Now Hassabis lacked only one important field of knowledge, before he could start his quest in search of AIS. He had to understand the human brain. In 2005, Hassabis received his doctoral degree in neuroscience at University College London. He published a highly influential study of memory and imagination. One of the works that have since been cited more than 1,000 times, has shown that people with amnesia also find it hard to imagine a new experience, which implies the existence of a relationship between remembering and creating mental images. Hassabis, built understanding of the brain for the acquisition of AIS. Most of his work came down to one question: how the human brain receives and stores concepts and knowledge? Hassabis formally established DeepMind 15 November 2010. The mission of the company was declared the same as now: "solve intelligence", and then use that to solve everything. As said, Hassabis Singularity Summit participants, this means translating our understanding of how the brain performs tasks in software that can use the same methods for learning. Hassabis, in no case does not claim that science has fully comprehended by the human mind. The plan for implementation of the AIS was unable to extract from hundreds of studies in the field of neuroscience. But he clearly believes that to begin work on the AIS in a manner that impressed him, it is possible. However, it is also possible that his confidence exceeds reality. We still know very little for sure about how actually the brain works. In 2018, the team of Australian researchers questioned the conclusions of the PhD Hassabis. Of course, this is just one document, but it shows that the science underpinning the work of DeepMind, not proven. Suleyman and Shane Legg, a man possessed of AIS new Zealander, which Hassabis also met at the University, joined as co-sponsors. The company's reputation grew rapidly. Hassabis bloomed. "It attracts like a magnet," says Ben Faulkner, the former head of the Deep Mind. Many recruits came from Europe. Perhaps the greatest achievement DeepMind was early actively hiring talented people and retaining the brightest and the best of them. One of the techniques of machine learning, which focused the company grew out of a dual passion Hassabis games and neuroscience: reinforcement learning. This program is designed to collect information about the environment, and then learn from it, repeatedly reproducing the experience — just as, Hassabis described brain activity during sleep, in his lecture at Singularity Summit. Reinforcement learning starts with a clean slate. The program shows the virtual environment about which she knows nothing except the rules, like a game of chess simulator or a video game. The program contains at least one component, known as a neural network. It consists of layers of computational structures that sift information to identify certain characteristics or strategy. Each layer examines the environment at their level of abstraction. First, these networks have minimal success, but their errors — and this is important — they are encoded. Gradually they are becoming smarter and smarter, experimenting with different strategies and receiving the award in case of success. If the program moves the chess piece and the result loses the game, more such errors will not allow it. Much of the magic of artificial intelligence lies in the speed with which he repeats these tasks. The work of DeepMind reached its climax in 2016, when the team developed an artificial intelligence program, which used reinforcement learning along with other methods.. A program called AlphaGo caused surprise after he beat the world champion in a match with five games in Seoul in 2016. The victory machine, which was watched by 280 million people, happened ten years earlier than predicted by machines. The following year an improved version of AlphaGo won the champion of China. Like Deep Blue in 1997, AlphaGo changed the perception of human achievement. Champions among men, the brilliant minds of the planet, no longer stood on the top of the intellectual pyramid. Almost 20 years after Hassabis declared their ambitions Fujuwara, he fulfilled them. Hassabis said that this match brought him to tears. He remained grateful to the Matthews. DeepBlue won with brute force and speed calculations, but the style AlphaGo seemed artistic, almost human. 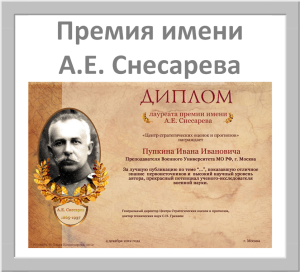 It isometsa and sophistication, excellence computing power seemed to be shown that DeepMind ahead of the competition in creating the program that will be able to cure diseases and to manage cities. Hassabis always said that DeepMind will change the world for the better. But they there is no certainty. If he ever appears, we do not know whether it will be for better or worse, will he obey human control. If you will, who will hold the reins? From the beginning, Hassabis tried to protect the independence of DeepMind. He has always insisted that DeepMind stayed in London. When Google bought the company in 2014, the issue of control became more urgent. 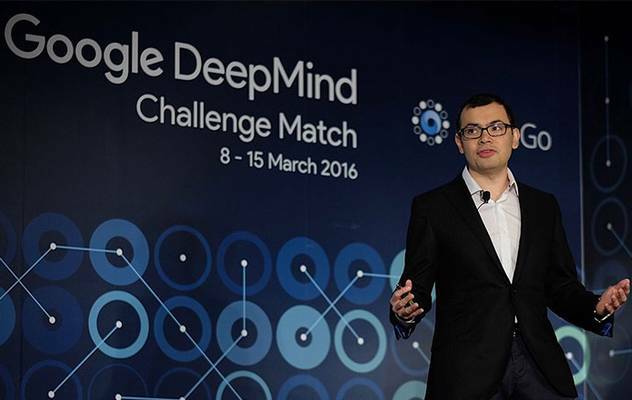 Hassabis didn't need to sell Google DeepMind. Cash was missing, and he sketched out the business model, under which the company will develop games for research funding. Money in Google promised a lot, but he didn't want to give the company, which he raised. Under the deal, DeepMind has established an agreement that would not allow Google to unilaterally take control of the company's intellectual property. In the year preceding the acquisition, according to sources, the two sides signed an agreement — Agreement on ethics and security. This agreement was drawn up by senior lawyers in London. The agreement conveys control over key technology of AIS DeepMind, if established, in the hands of the governing Board of ethics. According to the same source, the Board of ethics is not a cosmetic concession by Google, and provides reliable legal support DeepMind to preserve control over its most valuable and potentially the most dangerous technology. The names of the members of the Commission were not made public, but another source close to DeepMind and Google, announced that all three of DeepMind's founders on the Board. The company itself has nothing to disclose. Hassabis, can determine the fate of DeepMind and other methods. One of them is loyalty. Employees, both former and current, saying that the research program Hassabis is one of the strengths of DeepMind. His program, which offers a fascinating and important work without pressure from the scientific community, attracted hundreds of the most talented experts in the world. At DeepMind has subsidiary offices in Paris and Alberta. Many employees feel more connected to Kassabian and his mission than with its corporate parent, which only need income. While Hassabis retains personal devotion, he has considerable power over its sole shareholder. Better to let the talent work for DeepMind remotely than it would be in Facebook or Apple. At DeepMind is another source of leverage, though it requires continuous replenishment: a good halo. The company has succeeded in this. AlphaGo was great advertising. After the acquisition of Google, the company has repeatedly produced the miracles that drew the world's attention. One example of software that can detect patterns when you are scanning eyes, which are indicators of macular degeneration. Another program I learned to play chess from scratch, using architecture similar to AlphaGo, and became the greatest player of all time just nine hours of play. In December 2018 the program AlphaFold was more accurate than our competitors in predicting three-dimensional structures of proteins from the list of components with the potential to treat diseases such as Parkinson's and Alzheimer's. DeepMind is particularly proud developed algorithms that calculate the most efficient means of cooling centers Google data centers, which contain approximately 2.5 million computer servers. In 2016, DeepMind has stated that reduced spending Google for electricity by 40%. But some insiders say it's bragging exaggerated. Google used algorithms to optimize their data centers long before DeepMind. It is believed that DeepMind overstates his achievements to acquire value in the eyes of Google. Parent company Google Google DeepMind pays for such services. In 2017, the last Alphabet put the score at 54 million pounds. These numbers pale in comparison to the overhead DeepMind. In the same year, it spent 200 million pounds on staff. Overall, in 2017 DeepMind lost 282 million pounds. This is peanuts for a rich giant. But other subsidiaries of the company Alphabet drew the attention of Ruth Porat, avaricious Finance Director Alphabet. Google Fiber, attempt to build a provider of Internet services, was paused after it became clear that the investment will pay off for decades. AI researchers also wonder, "separated" if DeepMind. The gradual unfolding of DeepMind achievements in the field of AI is part of the strategy, gradually building the reputation of the company. This is particularly valuable at a time when Google is accused of violating users ' privacy and the dissemination of fake news. DeepMind also lucky to have a supporter at the highest level: Larry page, one of the two founders of Google, now Executive Director of the Alphabet. Paige is very close to Hassabis. Father page — Carl — studied neural networks in the 1960-ies. Early in his career, page said that Google created solely in order to establish the company AI. Careful control of DeepMind over the press does not correspond to the academic spirit that permeates the company. Some scientists complain that they are difficult to publish their work: they have to overcome the internal layers of approval before they can even submit work to a conference or journal. DeepMind believes that it is necessary to proceed cautiously so as not to scare the audience with the prospect of AIS. But too harsh accusation can ruin the academic atmosphere and to weaken the loyalty of employees. Five years after the acquisition of Google, the question of who controls DeepMind, becomes critical. The founders and the first employees of the company approaching the threshold of when they can leave with financial compensation, which they received from the purchase of the company (shares Hassabis probably cost about 100 million pounds). But a source close to the company suggests that Google pushed the payments to the founders for several years. Given your relentless focus, Hassabis unlikely to jump ship. He is interested in money only insofar as they help him in approaching the goal of his life. But some colleagues have gone. Three engineers of the AI left the company since the beginning of 2019. Ben Laurie, one of the most outstanding engineers of security in the world, returned to Google. This, of course, not so much, but DeepMind offers such an amazing mission and a decent pay that to go and no one should. Yet Google is not much bothered DeepMind. But one recent event has caused concern about how long the company will be able to maintain their independence. DeepMind always planned to use AI to improve health care. In February 2016, a new unit was established DeepMind Health, headed by Mustafa Suleiman, one of the founders of the company. Suleiman, whose mother was a nurse, hoped to create a program called Streams, which warned the doctors about the deteriorating health of the patient. DeepMind would receive a reward depending on performance. Because this work required access to confidential patient information, Suleiman has set up an Independent expert Commission (IRP), which got good English specialists in the field of healthcare and technology. DeepMind was wise enough to be cautious. Subsequently, the British information Commissioner found that one of the partners among hospitals violated the law when handling these patients. Nevertheless, by the end of 2017 Suleiman has signed agreements with four major hospitals. November 8, 2018, Google announced the creation of its own Department of health — Google Health. Five days later announced that DeepMind Health must join forces with the parent company. DeepMind was not warned. According to information obtained from queries on freedom of information, it is notified about changes in hospital-partners only for three days. DeepMind declined to say when the discussion began about the merger, but said short period of time between notification and public announcement in the interests of transparency. In 2016 Suleiman wrote that "the patient data are never linked to accounts, products or services of Google". His promise seemed to be broken. The annexation angered Google DeepMind employees Health. According to people close to the team of health, more and more employees are planning to leave the company after the completion of the absorption process. This episode shows that the peripheral part of the work of DeepMind vulnerable to Google. DeepMind has stated that "we all agreed that it makes sense to combine these efforts in a joint effort with increased resources." This raises the question, will Google apply the same logic to the work of DeepMind over the AIS. If you look on a large scale, DeepMind has achieved great success. She has already developed software that can learn to perform tasks at superhuman level. Hassabis, often refers to the Breakout video game for the Atari console. The player controls a bat which can move horizontally and with her help beats balls, guiding them in the blocks above, which are destroyed in the collision. A player wins when all blocks destroyed. Loses if the ball falls past the platform. Without human instruction program DeepMind not only learned how to play this game, but to throw balls into the space behind the blocks to take advantage of rebounds. It demonstrates the strength of reinforcement learning and supernatural powers computer programs DeepMind. The demonstration is certainly impressive. But, Hassabis something silent. If a virtual platform to raise even slightly above, the program makes a mistake. Skill acquired DeepMind program, so limited that it can not respond even to tiny changes in the environment that people could easily overcome. But there are a lot of subtleties. For diagnostic of intelligence there are no two identical organs of the body. For machine intelligence two similar engine will never be the same to set up. Therefore, programs into the wild is fraught with difficulties. Second, rarely speaks DeepMind, is that success in virtual environments depends on the existence of a function of the reward signal, which allows the software to measure your progress. The program will recognize that ricostituire from the rear wall increases its expense. Most of the work with DeepMind AlphaGo was to create a reward function that is compatible with such a complex game. Unfortunately, the real world doesn't offer easy rewards. Progress is rarely measured individual points. The human brain receives a signal about the success of these tasks directly in the implementation process, not after. DeepMind found a way around it, using a huge amount of computing power. AlphaGo playing games thousands of years of human time to learn something. Many philosophers of AI suspect that this decision is unacceptable for tasks that offer more than a weak reward. DeepMind recognizes the existence of such ambiguities. She recently started StarCraft 2, a computer strategy. The decisions taken in the beginning of the game, have consequences which appear later, which is quite peculiar tortuous and delayed feedback of real problems. In January software DeepMind beat some of the best players in the world, and it was very impressive, despite the severe constraints. Programs have also begun to examine the function of remuneration, following the opinion of people. But the inclusion of the human steps in the cycle creates the risk of loss of scale and speed. Both current and former researchers from Google DeepMind, and on the condition of anonymity, expressed skepticism that DeepMind will be able to achieve the AIS by using such methods. For them, the desire to achieve high performance in simulated environments complicates the problem of feature compensation. And yet this approach is the basis of DeepMind. The company has an internal competition, when programs competing teams battle for supremacy. Hassabis always seen life as a game. Most of his career was devoted to their creation, most of his free time was spent playing them. In DeepMind he uses them to develop a strong artificial intelligence. Like his software, Hassabis learns from experience. The pursuit of the AIS may eventually lead to a standstill, simultaneously inventing useful medical technology and the best in the skill of the players. But it can also create AIS right under the nose of Google, but out of his control. And if he succeeds to do, Demis, Hassabis win in the most challenging of all.